Colin Kaepernick has the support of one of his former coaches. TMZ cameras caught up with Chip Kelly who coached Kaepernick with the San Francisco 49ers during the 2016 season. When asked about his former quarterback, Kelly said “I think he’s ready to go,” and suggested “anybody that wants a good quarterback” should considering signing the 31-year-old. Kaepernick is currently suing the NFL for alleged collusion that’s kept him out of the sport since he opted out his contract with the 49ers in 2017. In his last season with the 49ers in 2016, Kaepernick threw for sixteen touchdowns, four interceptions while rushing for another two scores. Kelly isn’t wrong with his assessment. 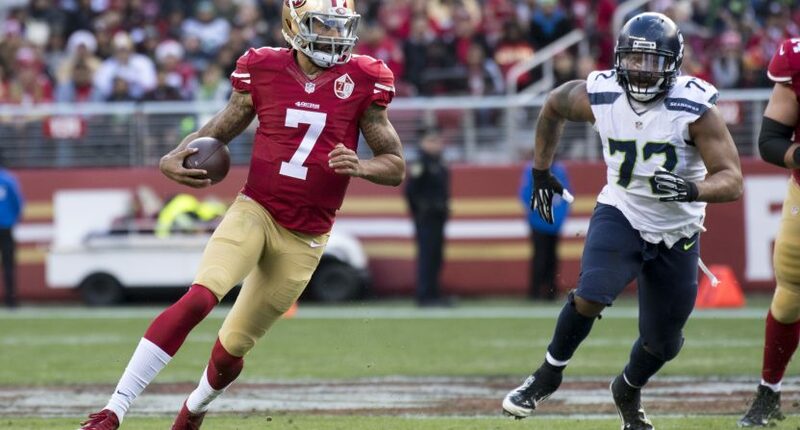 At the very least, Kaepernick could be a good backup in the NFL. He’s at least better than Nathan Peterman, who somehow keeps getting chances to play in the league despite horrendous results. The now-UCLA coach realizes Kaepernick has the talent to play in the NFL. Somehow, Roger Goodell doesn’t feel the same way.